Frances Price tart widow, possessive mother and Upper East Side force of nature is in dire straits, beset by scandal. Her adult son Malcolm is no help, mired in a permanent state of arrested development. And then there's their cat, who Frances believes houses the spirit of her late husband, an infamously immoral lawyer whose gruesome tabloid death rendered them social outcasts. To put their troubles behind them, the trio cut their losses and head for the exit. 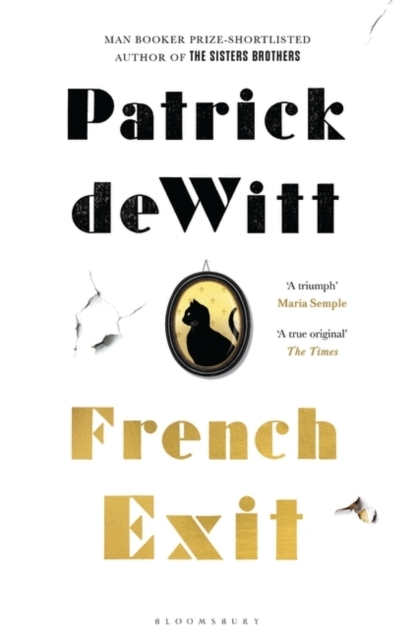 Their beloved Paris becomes the backdrop for a giddy drive to self-destruction, helped along by a cast of singularly curious characters: a bashful private investigator, an aimless psychic and Mme Reynard, friendly American expat and aggressive houseguest. Totally eccentric and ever so funny !